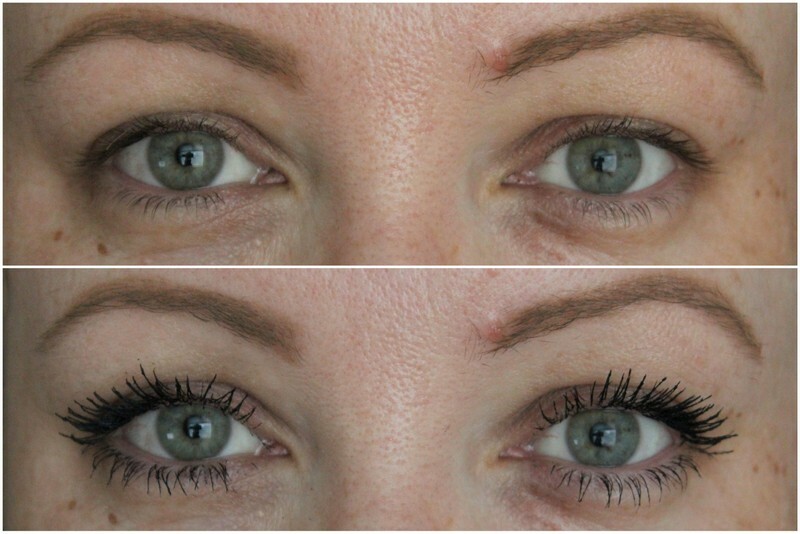 Clarins Supra Volume Mascara review, before & after photos! Things that you might know about me if you've been reading the blog for a while. 3. No seriously, I have beady villainous eyes without mascara. 4. Some of my favourite mascaras are from budget brands. 5. I rarely feature high end mascaras because they usually don't perform any better than their more affordable counterparts and I figure if it's over the €20 mark, it needs to work work work work work, dooby dooby derk derk derk derk. 6. That was a lot of points about mascara wasn't it. Ok, Clarins Supra Volume Mascara, you are €26, but sweet mother of all that is pure on this earth, you are amazing and worth every penny. I realise that you cannot read this blog post as you are a mascara, and yet I continue to type. I haven't gotten as many comments about my lashes in ages and it's all down to this beaut. I know I mention it a lot on Snapchat but that's because when I'm wearing it and don't say what's on my lashes, I get loads of questions about it. A couple of people in real life have even asked me if I was wearing false lashes. That's the mark of a good 'un for me! 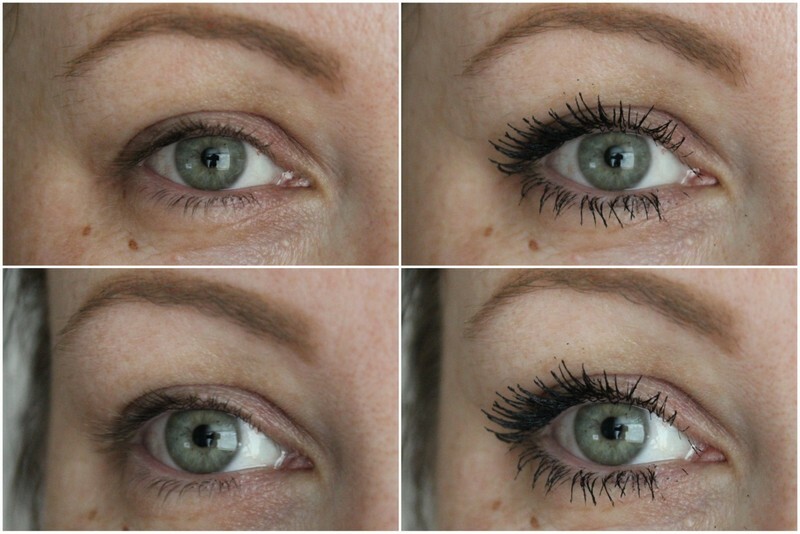 This was love at first application and as always, when testing out a mascara for the first time, I applied it to one eye first and I couldn't get over the difference in my two eyeballs. The formula is just thick enough to give lots of volume but without weighing my lashes down and is just thin enough to allow for lots of separation. Can we talk about the lift and curl for a second? I never curl my lashes and don't need to when using this. My lashes stay nice and lifted for the whole day so when I hit that 2pm slump when I could conk out at my desk, I still look wide eyed and alive. There's no flaking or smudging at all and that was me testing it out in the heat we've been having recently. Ok, the rest of my makeup might have been sliding down my face but my lashes stayed perfect! And if making my lashes look like this every day wasn't enough, the formula which is enriched with Cassie Flower Wax and Panthenol helps strengthen my lashes the more I use it. Not that I need any more encouragement to use this! Now I'll be the first to admit that I haven't been the biggest fan of Clarins mascaras in the past, finding them too thin for my liking and not giving me enough oomph. I need oomphy lashes, otherwise what's the point? I'm going to pretend like Clarins heard my call and created the Supra Volume Mascara just for me ok? Thanks Clarins. My lashes and I are much obliged and now the Supra Volume Mascara has joined my Bourjois Volume 1 Second Mascara and Catrice Glam & Doll False Lashes Mascara as my favourite mascaras of 2016. The Clarins Supra Volume Mascara is on counters now everywhere and you can buy it online too if the effort of life is too much and you're afraid if you go into town that you'll buy all the things.